THE VANEK TRILOGY: LIVING ROOM SOIREES. You are cordially invited to mingle at an exclusive soiree. Grab a glass and join the fun. You never know who you’ll meet. Michael and Vera request the pleasure of your company for a house warming party. The master brewer wants to have a heart to heart as you both drink yourselves into oblivion. Stanek believes you may be under surveillance. Step into the shoes of Vanek and meet four larger than life characters. The Host will guide you and set the pace but you decide which way the story goes. 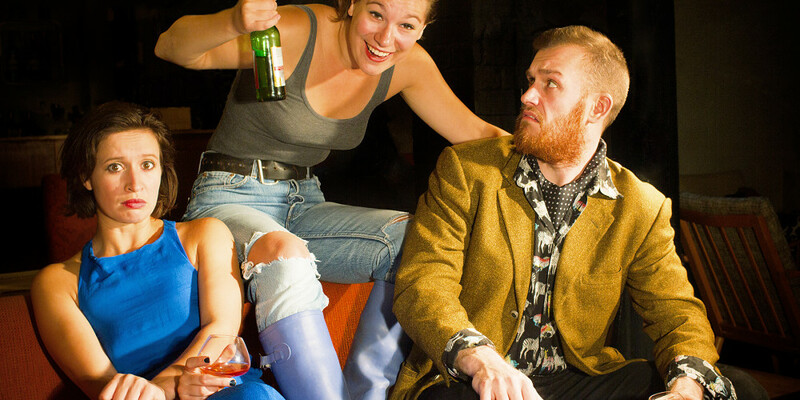 Set in secret locations across London, this is an interactive theatre production inspired by The Vanek Trilogy, an absurdist comedy by famous Czech playwright and former president Vaclav Havel. ONEOHONE is proud to team up with London’s Czech Centre for this production. Complimentary Czech beer with every ticket! The performance venues will be domestic addresses across London; the address is communicated via email 24 hours before the performance. DATES: 16th September, 30th September, 7th October, 25th November. 7.30-9pm. TICKETS: 16th September in Walthamstow… rest TBC!